Patricia Saunders is a long-time resident of the Mountain. 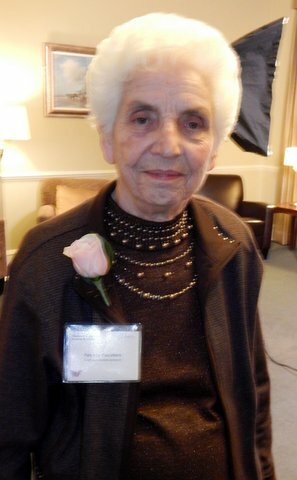 She graduated from McMaster University and practiced Social Work at the Ministry of Health until her retirement in 1995. Patricia is an active member of the Hamilton Mountain Heritage Society, Friends of Auchmar, City of Hamilton Historical Board and chair of the Heritage Events Sub-Committee. She is President of the Women’s Canadian Club of Hamilton. Patricia is an ardent bridge player and a devoted mother of five, grandmother of six and great-grandmother of two.